Brand new, genuine Johnson/Evinrude/OMC (BRP) VRO fuel/oil pump kit. This is a factory original equipment item, not aftermarket. Installation instructions are included and all mounting hardware, fittings, gaskets, and pulse limiter assembly. This kit services a VRO2 pump that has the 4-wire warning system, or services a "VRO style" fuel only pump. Johnson Evinrude 5007420 VRO Fuel Oil Pump Part number supercedes and replaces prior part numbers 175109, 436203, 438094, 435560, 438400, 435953, 435556, 435558, 435784, 0175109, 5004558. Fits most Johnson/Evinrude outboards with VRO system thru 2006. Just some of the models this VRO pump kit fits. EVINRUDE 1991 E120TLEIE 1991 VRO PUMP. EVINRUDE 1991 E120TXEIE 1991 VRO PUMP. EVINRUDE 1991 E140CXEIA 1991 VRO PUMP. EVINRUDE 1991 E140TLEID 1991 VRO PUMP. EVINRUDE 1991 E140TXEID 1991 VRO PUMP. 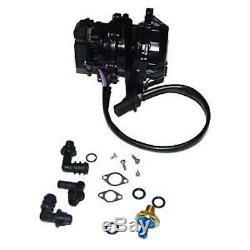 EVINRUDE 1991 E200CXEIB 1991 VRO2 PUMP. EVINRUDE 1991 E200STLEID 1991 VRO2 PUMP. EVINRUDE 1991 E200TXEIB 1991 VRO2 PUMP. EVINRUDE 1991 E225CXEIC 1991 VRO2 PUMP. EVINRUDE 1991 E225PLEIC 1991 VRO2 PUMP. EVINRUDE 1991 E225PXEIC 1991 VRO2 PUMP. EVINRUDE 1991 E225TLEIC 1991 VRO2 PUMP. EVINRUDE 1991 E225TXEIC 1991 VRO2 PUMP. EVINRUDE 1991 E250CXEIE 1991 VRO2 PUMP. EVINRUDE 1991 E250TXEIE 1991 VRO2 PUMP. EVINRUDE 1991 E300CXEIE 1991 VRO2 PUMP. EVINRUDE 1991 E300PLEIE 1991 VRO2 PUMP. EVINRUDE 1991 E300PXEIE 1991 VRO2 PUMP. EVINRUDE 1991 VE120TLEIE 1991 VRO PUMP. EVINRUDE 1991 VE120TXEIE 1991 VRO PUMP. EVINRUDE 1991 VE140TLEID 1991 VRO PUMP. EVINRUDE 1991 VE140TXEID 1991 VRO PUMP. EVINRUDE 1991 VE200SLEID 1991 VRO2 PUMP. EVINRUDE 1991 VE200TXEIB 1991 VRO2 PUMP. EVINRUDE 1991 VE225PLEIC 1991 VRO2 PUMP. EVINRUDE 1991 VE225PXEIC 1991 VRO2 PUMP. EVINRUDE 1991 VE225TLEIC 1991 VRO2 PUMP. EVINRUDE 1991 VE225TXEIC 1991 VRO2 PUMP. EVINRUDE 1992 E120TLEND 1992 VRO2 PUMP. EVINRUDE 1992 E120TXEND 1992 VRO2 PUMP. EVINRUDE 1992 E125ESXENR 1992 VRO2 PUMP. EVINRUDE 1992 E140CXENM 1992 VRO2 PUMP. EVINRUDE 1992 E140TLENS 1992 VRO2 PUMP. EVINRUDE 1992 E140TXENS 1992 VRO2 PUMP. EVINRUDE 1992 E185ESXENR 1992 VRO2 PUMP. EVINRUDE 1992 E200CXENE 1992 VRO2 PUMP. EVINRUDE 1992 E200STLENS 1992 VRO2 PUMP. EVINRUDE 1992 E200TXENE 1992 VRO2 PUMP. EVINRUDE 1992 E225CXENR 1992 VRO2 PUMP. EVINRUDE 1992 E225PLENR 1992 VRO2 PUMP. EVINRUDE 1992 E225PXENR 1992 VRO2 PUMP. EVINRUDE 1992 E225TLENR 1992 VRO2 PUMP. EVINRUDE 1992 E225TXENR 1992 VRO2 PUMP. EVINRUDE 1992 E250CXEND 1992 VRO2 PUMP. EVINRUDE 1992 E250CZEND 1992 VRO2 PUMP. EVINRUDE 1992 E250TXEND 1992 VRO2 PUMP. EVINRUDE 1992 E250TZEND 1992 VRO2 PUMP. EVINRUDE 1992 E300CXEND 1992 VRO2 PUMP. EVINRUDE 1992 E300PLEND 1992 VRO2 PUMP. EVINRUDE 1992 E300PXEND 1992 VRO2 PUMP. EVINRUDE 1992 VE120TLEND 1992 VRO2 PUMP. EVINRUDE 1992 VE120TXEND 1992 VRO2 PUMP. EVINRUDE 1992 VE140TLENS 1992 VRO2 PUMP. EVINRUDE 1992 VE140TXENS 1992 VRO2 PUMP. EVINRUDE 1992 VE200SLENS 1992 VRO2 PUMP. EVINRUDE 1992 VE200TXENE 1992 VRO2 PUMP. EVINRUDE 1992 VE225PLENR 1992 VRO2 PUMP. EVINRUDE 1992 VE225PXENR 1992 VRO2 PUMP. EVINRUDE 1992 VE225TLENR 1992 VRO2 PUMP. EVINRUDE 1992 VE225TXENR 1992 VRO2 PUMP. JOHNSON 1991 J120TLAIE 1991 VRO PUMP. JOHNSON 1991 J120TLEIE 1991 VRO PUMP. JOHNSON 1991 J120TXEIE 1991 VRO PUMP. JOHNSON 1991 J140CXEIA 1991 VRO PUMP. EVINRUDE 1995 E115ELEOC 1995 FUEL BRACKET & COMPONENTS. EVINRUDE 1995 E115GLEOC 1995 FUEL BRACKET & COMPONENTS. EVINRUDE 1995 E115SLEOC 1995 FUEL BRACKET & COMPONENTS. EVINRUDE 1995 E115SXEOC 1995 FUEL BRACKET & COMPONENTS. EVINRUDE 1995 E90ELEOC 1995 FUEL BRACKET & COMPONENTS. EVINRUDE 1995 E90EXEOC 1995 FUEL BRACKET & COMPONENTS. EVINRUDE 1995 E90SLEOC 1995 FUEL BRACKET & COMPONENTS. EVINRUDE 1995 L115GLEOS 1995 FUEL BRACKET & COMPONENTS. EVINRUDE 1996 BE115ELEDR 1996 FUEL BRACKET & COMPONENTS. EVINRUDE 1996 BE115GLEDR 1996 FUEL BRACKET & COMPONENTS. EVINRUDE 1996 BE115SXEDR 1996 FUEL BRACKET & COMPONENTS. EVINRUDE 1996 BE90ELEDR 1996 FUEL BRACKET & COMPONENTS. EVINRUDE 1996 BE90SLEDR 1996 FUEL BRACKET & COMPONENTS. EVINRUDE 1996 E115ELEDR 1996 FUEL BRACKET & COMPONENTS. EVINRUDE 1996 E115GLEDR 1996 FUEL BRACKET & COMPONENTS. EVINRUDE 1996 E115SLEDR 1996 FUEL BRACKET & COMPONENTS. EVINRUDE 1996 E115SXEDR 1996 FUEL BRACKET & COMPONENTS. EVINRUDE 1996 E90ELEDR 1996 FUEL BRACKET & COMPONENTS. EVINRUDE 1996 E90SLEDR 1996 FUEL BRACKET & COMPONENTS. EVINRUDE 1996 HE115SLEDR 1996 FUEL BRACKET & COMPONENTS. EVINRUDE 1996 L115GLEDC 1996 FUEL BRACKET & COMPONENTS. JOHNSON 1995 J115ELEOC 1995 FUEL BRACKET & COMPONENTS. EVINRUDE 1993 E120TLETF 1993 FUEL PUMP. EVINRUDE 1993 E120TLETS 1993 FUEL PUMP. EVINRUDE 1993 E120TXATF 1993 FUEL PUMP. EVINRUDE 1993 E120TXATS 1993 FUEL PUMP. EVINRUDE 1993 E120TXETF 1993 FUEL PUMP. EVINRUDE 1993 E120TXETS 1993 FUEL PUMP. EVINRUDE 1993 E125ESXETA 1993 FUEL PUMP. EVINRUDE 1993 E125ESXETF 1993 FUEL PUMP. EVINRUDE 1993 E140CXATF 1993 FUEL PUMP. EVINRUDE 1993 E140CXATS 1993 FUEL PUMP. EVINRUDE 1993 E140CXETB 1993 FUEL PUMP. EVINRUDE 1993 E140CXETF 1993 FUEL PUMP. EVINRUDE 1993 E140TLATC 1993 FUEL PUMP. EVINRUDE 1993 E140TLATF 1993 FUEL PUMP. EVINRUDE 1993 E140TLETC 1993 FUEL PUMP. EVINRUDE 1993 E140TLETF 1993 FUEL PUMP. EVINRUDE 1993 E140TXATF 1993 FUEL PUMP. EVINRUDE 1993 E140TXATS 1993 FUEL PUMP. EVINRUDE 1993 E140TXETC 1993 FUEL PUMP. EVINRUDE 1993 E140TXETF 1993 FUEL PUMP. EVINRUDE 1993 E60ELETD 1993 FUEL PUMP. EVINRUDE 1993 E60TLETD 1993 FUEL PUMP. EVINRUDE 1993 E60TTLETD 1993 FUEL PUMP. EVINRUDE 1993 E65WMLETD 1993 FUEL PUMP. EVINRUDE 1993 E70ELETS 1993 FUEL PUMP. EVINRUDE 1993 E70TLETS 1993 FUEL PUMP. EVINRUDE 1993 E70TTLETS 1993 FUEL PUMP. EVINRUDE 1993 TE60TLETD 1993 FUEL PUMP. EVINRUDE 1993 VE120TLETF 1993 FUEL PUMP. EVINRUDE 1993 VE120TLETS 1993 FUEL PUMP. EVINRUDE 1993 VE120TXETF 1993 FUEL PUMP. EVINRUDE 1993 VE120TXETS 1993 FUEL PUMP. EVINRUDE 1993 VE140TLETC 1993 FUEL PUMP. EVINRUDE 1993 VE140TLETF 1993 FUEL PUMP. EVINRUDE 1993 VE140TXETC 1993 FUEL PUMP. EVINRUDE 1993 VE140TXETF 1993 FUEL PUMP. EVINRUDE 1993 VE60ELETD 1993 FUEL PUMP. EVINRUDE 1993 VE70ELETS 1993 FUEL PUMP. EVINRUDE 1993 VE70TLETS 1993 FUEL PUMP. EVINRUDE 1994 E120TLERC 1994 FUEL PUMP. EVINRUDE 1994 E120TLERK 1994 FUEL PUMP. EVINRUDE 1994 E120TXARC 1994 FUEL PUMP. EVINRUDE 1994 E120TXARK 1994 FUEL PUMP. EVINRUDE 1994 E120TXERC 1994 FUEL PUMP. EVINRUDE 1994 E120TXERK 1994 FUEL PUMP. EVINRUDE 1994 E125ESXERK 1994 FUEL PUMP. EVINRUDE 1994 E140CXARC 1994 FUEL PUMP. EVINRUDE 1994 E140CXARK 1994 FUEL PUMP. EVINRUDE 1994 E140CXERE 1994 FUEL PUMP. EVINRUDE 1994 E140CXERK 1994 FUEL PUMP. EVINRUDE 1994 E140TLERK 1994 FUEL PUMP. EVINRUDE 1994 E140TLERR 1994 FUEL PUMP. EVINRUDE 1994 E140TXARC 1994 FUEL PUMP. EVINRUDE 1994 E140TXARK 1994 FUEL PUMP. EVINRUDE 1994 E140TXERK 1994 FUEL PUMP. EVINRUDE 1994 E140TXERR 1994 FUEL PUMP. EVINRUDE 1994 E60ELERS 1994 FUEL PUMP. EVINRUDE 1994 E60ELERV 1994 FUEL PUMP. EVINRUDE 1994 E60TLERS 1994 FUEL PUMP. EVINRUDE 1994 E60TLERV 1994 FUEL PUMP. EVINRUDE 1994 E60TTLERS 1994 FUEL PUMP. EVINRUDE 1994 E60TTLERV 1994 FUEL PUMP. EVINRUDE 1994 E65WMLERS 1994 FUEL PUMP. EVINRUDE 1994 E70ELERC 1994 FUEL PUMP. EVINRUDE 1994 E70ELERV 1994 FUEL PUMP. EVINRUDE 1994 E70TLERC 1994 FUEL PUMP. EVINRUDE 1994 E70TLERV 1994 FUEL PUMP. EVINRUDE 1994 E70TTLERC 1994 FUEL PUMP. 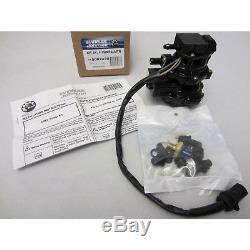 EVINRUDE 1994 E70TTLERV 1994 FUEL PUMP. EVINRUDE 1995 E130CXAOR 1995 FUEL PUMP. EVINRUDE 1995 E130TLEOA 1995 FUEL PUMP. EVINRUDE 1995 E130TXAOR 1995 FUEL PUMP. EVINRUDE 1995 E50DTLEOS 1995 FUEL PUMP. EVINRUDE 1995 E50ELEOS 1995 FUEL PUMP. EVINRUDE 1995 E50TTLEOS 1995 FUEL PUMP. EVINRUDE 1995 E60ELEOC 1995 FUEL PUMP. EVINRUDE 1995 E60TLEOC 1995 FUEL PUMP. EVINRUDE 1995 E60TTLEOC 1995 FUEL PUMP. EVINRUDE 1995 E65WMLEOC 1995 FUEL PUMP. EVINRUDE 1995 E70ELEOR 1995 FUEL PUMP. EVINRUDE 1995 E70TLEOR 1995 FUEL PUMP. EVINRUDE 1995 E70TTLEOR 1995 FUEL PUMP. EVINRUDE 1996 BE130TLEDM 1996 FUEL PUMP. EVINRUDE 1996 BE50DTLEDC 1996 FUEL PUMP. EVINRUDE 1996 BE60ELEDR 1996 FUEL PUMP. EVINRUDE 1996 BE60TLEDR 1996 FUEL PUMP. EVINRUDE 1996 BE70ELEDA 1996 FUEL PUMP. EVINRUDE 1996 BE70TLEDA 1996 FUEL PUMP. EVINRUDE 1996 E130TLEDM 1996 FUEL PUMP. EVINRUDE 1996 E130TXADA 1996 FUEL PUMP. EVINRUDE 1996 E50DTLEDC 1996 FUEL PUMP. EVINRUDE 1996 E50ELED 1996 FUEL PUMP. EVINRUDE 1996 E50TTLEDC 1996 FUEL PUMP. EVINRUDE 1996 E60ELEDR 1996 FUEL PUMP. EVINRUDE 1996 E60TLEDR 1996 FUEL PUMP. EVINRUDE 1996 E60TTLEDR 1996 FUEL PUMP. EVINRUDE 1996 E70TLEDA 1996 FUEL PUMP. EVINRUDE 1996 HE130CXADA 1996 FUEL PUMP. EVINRUDE 1996 HE130TXADA 1996 FUEL PUMP. EVINRUDE 1996 HE70TXEDA 1996 FUEL PUMP. EVINRUDE 1997 BE130TLEUB 1997 FUEL PUMP. EVINRUDE 1997 BE50DTLEUR 1997 FUEL PUMP. EVINRUDE 1997 BE60ELEUA 1997 FUEL PUMP. EVINRUDE 1997 BE60TLEUA 1997 FUEL PUMP. EVINRUDE 1997 BE70ELEUM 1997 FUEL PUMP. EVINRUDE 1997 BE70TLEUM 1997 FUEL PUMP. EVINRUDE 1997 E130TLEUB 1997 FUEL PUMP. EVINRUDE 1997 E130TXAUM 1997 FUEL PUMP. EVINRUDE 1997 E50DTLEUR 1997 FUEL PUMP. EVINRUDE 1997 E50ELEUR 1997 FUEL PUMP. EVINRUDE 1997 E50TTLEUR 1997 FUEL PUMP. EVINRUDE 1997 E60ELEUA 1997 FUEL PUMP. EVINRUDE 1997 E60TLEUA 1997 FUEL PUMP. EVINRUDE 1997 E60TTLEUA 1997 FUEL PUMP. EVINRUDE 1997 E70TLEUM 1997 FUEL PUMP. EVINRUDE 1997 HE130CXAUM 1997 FUEL PUMP. EVINRUDE 1997 HE130TXAUM 1997 FUEL PUMP. EVINRUDE 1997 HE70TXEUM 1997 FUEL PUMP. JOHNSON 1993 J120TLATF 1993 FUEL PUMP. JOHNSON 1993 J120TLATS 1993 FUEL PUMP. JOHNSON 1993 J120TLETF 1993 FUEL PUMP. JOHNSON 1993 J120TLETS 1993 FUEL PUMP. JOHNSON 1993 J120TXATF 1993 FUEL PUMP. JOHNSON 1993 J120TXATS 1993 FUEL PUMP. JOHNSON 1993 J120TXETF 1993 FUEL PUMP. EVINRUDE 1997 BE115ELEUA 1997 FUEL BRACKET & COMPONENTS. EVINRUDE 1997 BE115ELEUC 1997 FUEL BRACKET & COMPONENTS. EVINRUDE 1997 BE115GLEUA 1997 FUEL BRACKET & COMPONENTS. EVINRUDE 1997 BE115GLEUC 1997 FUEL BRACKET & COMPONENTS. EVINRUDE 1997 BE115SXEUA 1997 FUEL BRACKET & COMPONENTS. EVINRUDE 1997 BE115SXEUC 1997 FUEL BRACKET & COMPONENTS. EVINRUDE 1997 BE150ELEUC 1997 FUEL BRACKET & COMPONENTS. EVINRUDE 1997 BE150ELEUE 1997 FUEL BRACKET & COMPONENTS. EVINRUDE 1997 BE150EXEUC 1997 FUEL BRACKET & COMPONENTS. EVINRUDE 1997 BE150EXEUE 1997 FUEL BRACKET & COMPONENTS. EVINRUDE 1997 BE150GLEUC 1997 FUEL BRACKET & COMPONENTS. EVINRUDE 1997 BE150GLEUE 1997 FUEL BRACKET & COMPONENTS. EVINRUDE 1997 BE150NXEUC 1997 FUEL BRACKET & COMPONENTS. EVINRUDE 1997 BE150NXEUE 1997 FUEL BRACKET & COMPONENTS. EVINRUDE 1997 BE175EXEUC 1997 FUEL BRACKET & COMPONENTS. EVINRUDE 1997 BE175EXEUE 1997 FUEL BRACKET & COMPONENTS. EVINRUDE 1997 BE175GLEUC 1997 FUEL BRACKET & COMPONENTS. EVINRUDE 1997 BE175GLEUE 1997 FUEL BRACKET & COMPONENTS. EVINRUDE 1997 BE175NXEUC 1997 FUEL BRACKET & COMPONENTS. EVINRUDE 1997 BE175NXEUE 1997 FUEL BRACKET & COMPONENTS. EVINRUDE 1997 BE200CXEUA 1997 FUEL PUMP. EVINRUDE 1997 BE200TXEUA 1997 FUEL PUMP. EVINRUDE 1997 BE225CXEUD 1997 FUEL PUMP. EVINRUDE 1997 BE225SLEUD 1997 FUEL PUMP. EVINRUDE 1997 BE225TXEUD 1997 FUEL PUMP. EVINRUDE 1997 BE90ELEUA 1997 FUEL BRACKET & COMPONENTS. EVINRUDE 1997 BE90ELEUC 1997 FUEL BRACKET & COMPONENTS. EVINRUDE 1997 BE90SLEUA 1997 FUEL BRACKET & COMPONENTS. EVINRUDE 1997 BE90SLEUC 1997 FUEL BRACKET & COMPONENTS. EVINRUDE 1997 BE90SXEUA 1997 FUEL BRACKET & COMPONENTS. EVINRUDE 1997 BE90SXEUC 1997 FUEL BRACKET & COMPONENTS. EVINRUDE 1997 BJ90SLEUC 1997 FUEL BRACKET & COMPONENTS. EVINRUDE 1997 BJ90SXEUC 1997 FUEL BRACKET & COMPONENTS. EVINRUDE 1997 E115ELEUA 1997 FUEL BRACKET & COMPONENTS. EVINRUDE 1997 E115ELEUC 1997 FUEL BRACKET & COMPONENTS. EVINRUDE 1997 E115GLEUA 1997 FUEL BRACKET & COMPONENTS. EVINRUDE 1997 E115GLEUC 1997 FUEL BRACKET & COMPONENTS. EVINRUDE 1997 E115SLEUA 1997 FUEL BRACKET & COMPONENTS. EVINRUDE 1997 E115SLEUC 1997 FUEL BRACKET & COMPONENTS. EVINRUDE 1997 E115SXEUA 1997 FUEL BRACKET & COMPONENTS. EVINRUDE 1997 E115SXEUC 1997 FUEL BRACKET & COMPONENTS. EVINRUDE 1997 E150ELEUC 1997 FUEL BRACKET & COMPONENTS. EVINRUDE 1997 E150ELEUE 1997 FUEL BRACKET & COMPONENTS. EVINRUDE 1997 E150EXEUC 1997 FUEL BRACKET & COMPONENTS. EVINRUDE 1997 E150EXEUE 1997 FUEL BRACKET & COMPONENTS. EVINRUDE 1997 E150GLEUC 1997 FUEL BRACKET & COMPONENTS. EVINRUDE 1997 E150GLEUE 1997 FUEL BRACKET & COMPONENTS. EVINRUDE 1997 E150JLEUC 1997 FUEL BRACKET & COMPONENTS. EVINRUDE 1997 E150JLEUE 1997 FUEL BRACKET & COMPONENTS. EVINRUDE 1997 E150NXEUC 1997 FUEL BRACKET & COMPONENTS. EVINRUDE 1997 E150NXEUE 1997 FUEL BRACKET & COMPONENTS. EVINRUDE 1997 E150SLEUC 1997 FUEL BRACKET & COMPONENTS. EVINRUDE 1997 E150SLEUE 1997 FUEL BRACKET & COMPONENTS. EVINRUDE 1997 E175EXEUC 1997 FUEL BRACKET & COMPONENTS. EVINRUDE 1997 E175EXEUE 1997 FUEL BRACKET & COMPONENTS. EVINRUDE 1997 E175GLEUC 1997 FUEL BRACKET & COMPONENTS. EVINRUDE 1997 E175GLEUE 1997 FUEL BRACKET & COMPONENTS. EVINRUDE 1997 E175NXEUC 1997 FUEL BRACKET & COMPONENTS. EVINRUDE 1997 E175NXEUE 1997 FUEL BRACKET & COMPONENTS. EVINRUDE 1997 E175SLEUC 1997 FUEL BRACKET & COMPONENTS. EVINRUDE 1997 E175SLEUE 1997 FUEL BRACKET & COMPONENTS. EVINRUDE 1997 E200CXEUA 1997 FUEL PUMP. EVINRUDE 1997 E200STLEUB 1997 FUEL PUMP. EVINRUDE 1997 E200TXEUA 1997 FUEL PUMP. EVINRUDE 1997 E225CXEUD 1997 FUEL PUMP. EVINRUDE 1997 E225CZEUD 1997 FUEL PUMP. EVINRUDE 1997 E225STLEUD 1997 FUEL PUMP. EVINRUDE 1997 E225TXEUD 1997 FUEL PUMP. EVINRUDE 1997 E225TZEUD 1997 FUEL PUMP. EVINRUDE 1997 E90ELEUA 1997 FUEL BRACKET & COMPONENTS. EVINRUDE 1997 E90ELEUC 1997 FUEL BRACKET & COMPONENTS. EVINRUDE 1997 E90SLEUA 1997 FUEL BRACKET & COMPONENTS. EVINRUDE 1997 E90SLEUC 1997 FUEL BRACKET & COMPONENTS. EVINRUDE 1997 HE115SLEUA 1997 FUEL BRACKET & COMPONENTS. EVINRUDE 1997 HE115SLEUC 1997 FUEL BRACKET & COMPONENTS. EVINRUDE 1997 J90SLEUC 1997 FUEL BRACKET & COMPONENTS. EVINRUDE 1997 L115GLEUC 1997 FUEL BRACKET & COMPONENTS. EVINRUDE 1997 L115GLEUR 1997 FUEL BRACKET & COMPONENTS. EVINRUDE 1997 L150GLEUC 1997 FUEL BRACKET & COMPONENTS. EVINRUDE 1997 L150GLEUR 1997 FUEL BRACKET & COMPONENTS. EVINRUDE 1998 BE115GLECM 1998 FUEL BRACKET & COMPONENTS. EVINRUDE 1998 BE115SXECM 1998 FUEL BRACKET & COMPONENTS. EVINRUDE 1998 BE130TLECE 1998 FUEL PUMP. EVINRUDE 1998 BE150ELECD 1998 FUEL BRACKET & COMPONENTS. EVINRUDE 1998 BE150EXECD 1998 FUEL BRACKET & COMPONENTS. EVINRUDE 1998 BE150GLECD 1998 FUEL BRACKET & COMPONENTS. EVINRUDE 1998 BE150NXECD 1998 FUEL BRACKET & COMPONENTS. EVINRUDE 1998 BE175EXECD 1998 FUEL BRACKET & COMPONENTS. EVINRUDE 1998 BE175GLECD 1998 FUEL BRACKET & COMPONENTS. EVINRUDE 1998 BE175NXECD 1998 FUEL BRACKET & COMPONENTS. EVINRUDE 1998 BE200CXECM 1998 FUEL PUMP. EVINRUDE 1998 BE200TXECM 1998 FUEL PUMP. EVINRUDE 1998 BE225CXECS 1998 FUEL PUMP. EVINRUDE 1998 BE225SLECS 1998 FUEL PUMP. EVINRUDE 1998 BE225TXECS 1998 FUEL PUMP. EVINRUDE 1998 BE250CXECB 1998 FUEL PUMP. EVINRUDE 1998 BE250TXECB 1998 FUEL PUMP. EVINRUDE 1998 BE60TLECM 1998 FUEL PUMP. EVINRUDE 1998 BE70ELECB 1998 FUEL PUMP. EVINRUDE 1998 BE70TLECB 1998 FUEL PUMP. EVINRUDE 1998 BE90SLECM 1998 FUEL BRACKET & COMPONENTS. EVINRUDE 1998 BE90SXECM 1998 FUEL BRACKET & COMPONENTS. EVINRUDE 1998 E100WQLECS 1998 FUEL BRACKET & COMPONENTS. EVINRUDE 1998 E100WQXECS 1998 FUEL BRACKET & COMPONENTS. EVINRUDE 1998 E115ELECM 1998 FUEL BRACKET & COMPONENTS. EVINRUDE 1998 E115GLECM 1998 FUEL BRACKET & COMPONENTS. EVINRUDE 1998 E115JTLECS 1998 FUEL BRACKET & COMPONENTS. EVINRUDE 1998 E115SLECM 1998 FUEL BRACKET & COMPONENTS. EVINRUDE 1998 E115SXECM 1998 FUEL BRACKET & COMPONENTS. EVINRUDE 1998 E130TLECE 1998 FUEL PUMP. EVINRUDE 1998 E130TXACB 1998 FUEL PUMP. EVINRUDE 1998 E150ELECD 1998 FUEL BRACKET & COMPONENTS. EVINRUDE 1998 E150EXECD 1998 FUEL BRACKET & COMPONENTS. EVINRUDE 1998 E150GLECD 1998 FUEL BRACKET & COMPONENTS. EVINRUDE 1998 E150JLECD 1998 FUEL BRACKET & COMPONENTS. EVINRUDE 1998 E150NXECD 1998 FUEL BRACKET & COMPONENTS. EVINRUDE 1998 E150SLECD 1998 FUEL BRACKET & COMPONENTS. EVINRUDE 1998 E175EXECD 1998 FUEL BRACKET & COMPONENTS. EVINRUDE 1998 E175GLECD 1998 FUEL BRACKET & COMPONENTS. EVINRUDE 1998 E175NXECD 1998 FUEL BRACKET & COMPONENTS. EVINRUDE 1998 E175SLECD 1998 FUEL BRACKET & COMPONENTS. EVINRUDE 1998 E200CXECM 1998 FUEL PUMP. EVINRUDE 1998 E200STLECE 1998 FUEL PUMP. EVINRUDE 1998 E200TLECM 1998 FUEL PUMP. EVINRUDE 1998 E200TXECM 1998 FUEL PUMP. EVINRUDE 1998 E225CXECS 1998 FUEL PUMP. EVINRUDE 1998 E225CZECS 1998 FUEL PUMP. EVINRUDE 1998 E225STLECS 1998 FUEL PUMP. EVINRUDE 1998 E225TXECS 1998 FUEL PUMP. EVINRUDE 1998 E225TZECS 1998 FUEL PUMP. EVINRUDE 1998 E250CXECD 1998 FUEL PUMP. EVINRUDE 1998 E250CZECD 1998 FUEL PUMP. EVINRUDE 1998 E250PXECD 1998 FUEL PUMP. EVINRUDE 1998 E250PZECD 1998 FUEL PUMP. EVINRUDE 1998 E50DTLECA 1998 FUEL PUMP. EVINRUDE 1998 E50TTLECA 1998 FUEL PUMP. EVINRUDE 1998 E60TLECM 1998 FUEL PUMP. EVINRUDE 1998 E60TTLECM 1998 FUEL PUMP. EVINRUDE 1998 E70TLECB 1998 FUEL PUMP. EVINRUDE 1998 E90ELECM 1998 FUEL BRACKET & COMPONENTS. EVINRUDE 1998 E90SLECM 1998 FUEL BRACKET & COMPONENTS. EVINRUDE 1998 HE115SLECM 1998 FUEL BRACKET & COMPONENTS. EVINRUDE 1998 HE130TXACB 1998 FUEL PUMP. EVINRUDE 1998 L115GLECA 1998 FUEL BRACKET & COMPONENTS. EVINRUDE 1998 L150GLECA 1998 FUEL BRACKET & COMPONENTS. EVINRUDE 1998 L90GLECS 1998 FUEL BRACKET & COMPONENTS. EVINRUDE 1998 SE225GLECC 1998 FUEL PUMP. EVINRUDE 1998 SE225NXECC 1998 FUEL PUMP. EVINRUDE 1998 SE225NZECC 1998 FUEL PUMP. EVINRUDE 1998 SE225QXECC 1998 FUEL PUMP. EVINRUDE 1998 SE225QZECC 1998 FUEL PUMP. EVINRUDE 1999 E100WPLEEC 1999 FUEL BRACKET & COMPONENTS. EVINRUDE 1999 E100WPXEEC 1999 FUEL BRACKET & COMPONENTS. EVINRUDE 2000 E100WPLSSR Commercial, Elec. Shaft 2000 FUEL BRACKET & COMPONENTS. EVINRUDE 2000 E100WPXSSR Commercial, Elec. EVINRUDE 2001 E100WPLSIF commercial, elec start, 20 in shaft 2001 FUEL BRACKET & COMPONENTS. EVINRUDE 2001 E100WPXSIF commercial, elec start, 25 in shaft 2001 FUEL BRACKET & COMPONENTS. JOHNSON 1997 BJ115ELEUA 1997 FUEL BRACKET & COMPONENTS. JOHNSON 1997 BJ115ELEUC 1997 FUEL BRACKET & COMPONENTS. JOHNSON 1997 BJ115GLEUA 1997 FUEL BRACKET & COMPONENTS. JOHNSON 1997 BJ115GLEUC 1997 FUEL BRACKET & COMPONENTS. JOHNSON 1997 BJ115SXEUA 1997 FUEL BRACKET & COMPONENTS. JOHNSON 1997 BJ115SXEUC 1997 FUEL BRACKET & COMPONENTS. JOHNSON 1997 BJ150ELEUC 1997 FUEL BRACKET & COMPONENTS. JOHNSON 1997 BJ150ELEUE 1997 FUEL BRACKET & COMPONENTS. JOHNSON 1997 BJ150EXEUC 1997 FUEL BRACKET & COMPONENTS. JOHNSON 1997 BJ150EXEUE 1997 FUEL BRACKET & COMPONENTS. JOHNSON 1997 BJ150GLEUC 1997 FUEL BRACKET & COMPONENTS. JOHNSON 1997 BJ150GLEUE 1997 FUEL BRACKET & COMPONENTS. JOHNSON 1997 BJ150NXEUC 1997 FUEL BRACKET & COMPONENTS. JOHNSON 1997 BJ150NXEUE 1997 FUEL BRACKET & COMPONENTS. JOHNSON 1997 BJ175EXEUC 1997 FUEL BRACKET & COMPONENTS. JOHNSON 1997 BJ175EXEUE 1997 FUEL BRACKET & COMPONENTS. JOHNSON 1997 BJ175GLEUC 1997 FUEL BRACKET & COMPONENTS. JOHNSON 1997 BJ175GLEUE 1997 FUEL BRACKET & COMPONENTS. JOHNSON 1997 BJ175NXEUC 1997 FUEL BRACKET & COMPONENTS. JOHNSON 1997 BJ175NXEUE 1997 FUEL BRACKET & COMPONENTS. JOHNSON 1997 BJ90ELEUA 1997 FUEL BRACKET & COMPONENTS. JOHNSON 1997 BJ90ELEUC 1997 FUEL BRACKET & COMPONENTS. JOHNSON 1997 BJ90SLEUA 1997 FUEL BRACKET & COMPONENTS. JOHNSON 1997 BJ90SXEUA 1997 FUEL BRACKET & COMPONENTS. JOHNSON 1997 HJ115SLEUA 1997 FUEL BRACKET & COMPONENTS. JOHNSON 1997 HJ115SLEUC 1997 FUEL BRACKET & COMPONENTS. JOHNSON 1997 J115ELEUA 1997 FUEL BRACKET & COMPONENTS. JOHNSON 1997 J115ELEUC 1997 FUEL BRACKET & COMPONENTS. JOHNSON 1997 J115GLEUA 1997 FUEL BRACKET & COMPONENTS. JOHNSON 1997 J115GLEUC 1997 FUEL BRACKET & COMPONENTS. JOHNSON 1997 J115SLEUA 1997 FUEL BRACKET & COMPONENTS. JOHNSON 1997 J115SLEUC 1997 FUEL BRACKET & COMPONENTS. JOHNSON 1997 J115SXEUA 1997 FUEL BRACKET & COMPONENTS. JOHNSON 1997 J115SXEUC 1997 FUEL BRACKET & COMPONENTS. JOHNSON 1997 J150ELEUC 1997 FUEL BRACKET & COMPONENTS. JOHNSON 1997 J150ELEUE 1997 FUEL BRACKET & COMPONENTS. JOHNSON 1997 J150EXEUC 1997 FUEL BRACKET & COMPONENTS. JOHNSON 1997 J150EXEUE 1997 FUEL BRACKET & COMPONENTS. JOHNSON 1997 J150GLEUC 1997 FUEL BRACKET & COMPONENTS. JOHNSON 1997 J150GLEUE 1997 FUEL BRACKET & COMPONENTS. JOHNSON 1997 J150JLEUC 1997 FUEL BRACKET & COMPONENTS. JOHNSON 1997 J150JLEUE 1997 FUEL BRACKET & COMPONENTS. JOHNSON 1997 J150NXEUC 1997 FUEL BRACKET & COMPONENTS. JOHNSON 1997 J150NXEUE 1997 FUEL BRACKET & COMPONENTS. JOHNSON 1997 J150SLEUC 1997 FUEL BRACKET & COMPONENTS. JOHNSON 1997 J150SLEUE 1997 FUEL BRACKET & COMPONENTS. JOHNSON 1997 J175EXEUC 1997 FUEL BRACKET & COMPONENTS. JOHNSON 1997 J175EXEUE 1997 FUEL BRACKET & COMPONENTS. JOHNSON 1997 J175GLEUC 1997 FUEL BRACKET & COMPONENTS. JOHNSON 1997 J175GLEUE 1997 FUEL BRACKET & COMPONENTS. JOHNSON 1997 J175NXEUC 1997 FUEL BRACKET & COMPONENTS. JOHNSON 1997 J175NXEUE 1997 FUEL BRACKET & COMPONENTS. JOHNSON 1997 J175SLEUC 1997 FUEL BRACKET & COMPONENTS. JOHNSON 1997 J175SLEUE 1997 FUEL BRACKET & COMPONENTS. JOHNSON 1997 J200CXEUA 1997 FUEL PUMP. JOHNSON 1997 J200STLEUB 1997 FUEL PUMP. JOHNSON 1997 J200TXEUA 1997 FUEL PUMP. JOHNSON 1997 J225CXEUD 1997 FUEL PUMP. JOHNSON 1997 J225CZEUD 1997 FUEL PUMP. JOHNSON 1997 J225STLEUD 1997 FUEL PUMP. JOHNSON 1997 J225TXEUD 1997 FUEL PUMP. JOHNSON 1997 J225TZEUD 1997 FUEL PUMP. JOHNSON 1997 J90ELEUA 1997 FUEL BRACKET & COMPONENTS. JOHNSON 1997 J90ELEUC 1997 FUEL BRACKET & COMPONENTS. JOHNSON 1997 J90SLEUA 1997 FUEL BRACKET & COMPONENTS. JOHNSON 1997 SJ200CXEUA 1997 FUEL PUMP. JOHNSON 1997 SJ200SLEUB 1997 FUEL PUMP. JOHNSON 1997 SJ200TXEUA 1997 FUEL PUMP. JOHNSON 1997 SJ225CXEUD 1997 FUEL PUMP. JOHNSON 1997 SJ225SLEUD 1997 FUEL PUMP. JOHNSON 1997 SJ225TXEUD 1997 FUEL PUMP. JOHNSON 1998 BJ115GLECM 1998 FUEL BRACKET & COMPONENTS. JOHNSON 1998 BJ115SXECM 1998 FUEL BRACKET & COMPONENTS. JOHNSON 1998 BJ130TLECE 1998 FUEL PUMP. JOHNSON 1998 BJ150ELECD 1998 FUEL BRACKET & COMPONENTS. JOHNSON 1998 BJ150EXECD 1998 FUEL BRACKET & COMPONENTS. JOHNSON 1998 BJ150GLECD 1998 FUEL BRACKET & COMPONENTS. JOHNSON 1998 BJ150NXECD 1998 FUEL BRACKET & COMPONENTS. JOHNSON 1998 BJ175EXECD 1998 FUEL BRACKET & COMPONENTS. JOHNSON 1998 BJ175GLECD 1998 FUEL BRACKET & COMPONENTS. JOHNSON 1998 BJ175NXECD 1998 FUEL BRACKET & COMPONENTS. JOHNSON 1998 BJ250CXECB 1998 FUEL PUMP. JOHNSON 1998 BJ250TXECB 1998 FUEL PUMP. JOHNSON 1993 J120TXETS 1993 FUEL PUMP. JOHNSON 1991 J140TLEID 1991 VRO PUMP. JOHNSON 1991 J140TXEID 1991 VRO PUMP. JOHNSON 1991 J200CXEIB 1991 VRO2 PUMP. JOHNSON 1991 J200STLEID 1991 VRO2 PUMP. JOHNSON 1991 J200TXEIB 1991 VRO2 PUMP. JOHNSON 1991 J225CXEIC 1991 VRO2 PUMP. JOHNSON 1991 J225PLEIC 1991 VRO2 PUMP. JOHNSON 1991 J225PXEIC 1991 VRO2 PUMP. JOHNSON 1991 J225TLEIC 1991 VRO2 PUMP. JOHNSON 1991 J225TXEIC 1991 VRO2 PUMP. JOHNSON 1991 J250CXEIE 1991 VRO2 PUMP. JOHNSON 1991 J250TXEIE 1991 VRO2 PUMP. JOHNSON 1991 J300CXEIE 1991 VRO2 PUMP. JOHNSON 1991 J300PLEIE 1991 VRO2 PUMP. JOHNSON 1991 J300PXEIE 1991 VRO2 PUMP. JOHNSON 1991 VJ120TLAIE 1991 VRO PUMP. JOHNSON 1991 VJ120TLEIE 1991 VRO PUMP. JOHNSON 1991 VJ120TXEIE 1991 VRO PUMP. JOHNSON 1991 VJ140TLAID 1991 VRO PUMP. JOHNSON 1991 VJ140TLEID 1991 VRO PUMP. JOHNSON 1991 VJ140TXEID 1991 VRO PUMP. JOHNSON 1991 VJ200SLEID 1991 VRO2 PUMP. JOHNSON 1991 VJ200TXEIB 1991 VRO2 PUMP. JOHNSON 1991 VJ225PLEIC 1991 VRO2 PUMP. JOHNSON 1991 VJ225PXEIC 1991 VRO2 PUMP. JOHNSON 1991 VJ225TLEIC 1991 VRO2 PUMP. JOHNSON 1991 VJ225TXEIC 1991 VRO2 PUMP. JOHNSON 1992 J120TLAND 1992 VRO2 PUMP. JOHNSON 1992 J120TLEND 1992 VRO2 PUMP. JOHNSON 1992 J120TXEND 1992 VRO2 PUMP. JOHNSON 1992 J125ESXENR 1992 VRO2 PUMP. JOHNSON 1992 J140CXENM 1992 VRO2 PUMP. JOHNSON 1992 J140TLANS 1992 VRO2 PUMP. JOHNSON 1992 J140TLENS 1992 VRO2 PUMP. JOHNSON 1992 J140TXENS 1992 VRO2 PUMP. JOHNSON 1992 J185ESXENR 1992 VRO2 PUMP. JOHNSON 1992 J200CXENE 1992 VRO2 PUMP. JOHNSON 1992 J200STLENS 1992 VRO2 PUMP. JOHNSON 1992 J200TXENE 1992 VRO2 PUMP. JOHNSON 1992 J225CXENR 1992 VRO2 PUMP. JOHNSON 1992 J225PLENR 1992 VRO2 PUMP. JOHNSON 1992 J225PXENR 1992 VRO2 PUMP. JOHNSON 1992 J225TLENR 1992 VRO2 PUMP. JOHNSON 1992 J225TXENR 1992 VRO2 PUMP. JOHNSON 1992 J250CXEND 1992 VRO2 PUMP. JOHNSON 1992 J250CZEND 1992 VRO2 PUMP. JOHNSON 1992 J250TXEND 1992 VRO2 PUMP. JOHNSON 1992 J250TZEND 1992 VRO2 PUMP. JOHNSON 1992 J300CXEND 1992 VRO2 PUMP. JOHNSON 1992 J300PLEND 1992 VRO2 PUMP. JOHNSON 1992 J300PXEND 1992 VRO2 PUMP. JOHNSON 1992 VJ120TLAND 1992 VRO2 PUMP. JOHNSON 1992 VJ120TLEND 1992 VRO2 PUMP. JOHNSON 1992 VJ120TXEND 1992 VRO2 PUMP. JOHNSON 1992 VJ140TLANS 1992 VRO2 PUMP. JOHNSON 1992 VJ140TLENS 1992 VRO2 PUMP. JOHNSON 1992 VJ140TXENS 1992 VRO2 PUMP. JOHNSON 1992 VJ200SLENS 1992 VRO2 PUMP. JOHNSON 1992 VJ200TXENE 1992 VRO2 PUMP. JOHNSON 1992 VJ225PLENR 1992 VRO2 PUMP. JOHNSON 1992 VJ225PXENR 1992 VRO2 PUMP. JOHNSON 1992 VJ225TLENR 1992 VRO2 PUMP. JOHNSON 1992 VJ225TXENR 1992 VRO2 PUMP. JOHNSON 1995 J115GLEOC 1995 FUEL BRACKET & COMPONENTS. JOHNSON 1995 J115SLEOC 1995 FUEL BRACKET & COMPONENTS. JOHNSON 1995 J115SXEOC 1995 FUEL BRACKET & COMPONENTS. JOHNSON 1995 J90ELEOC 1995 FUEL BRACKET & COMPONENTS. JOHNSON 1995 J90EXEOC 1995 FUEL BRACKET & COMPONENTS. JOHNSON 1995 J90SLEOC 1995 FUEL BRACKET & COMPONENTS. JOHNSON 1996 BJ115ELEDR 1996 FUEL BRACKET & COMPONENTS. JOHNSON 1996 BJ115GLEDR 1996 FUEL BRACKET & COMPONENTS. JOHNSON 1996 BJ115SXEDR 1996 FUEL BRACKET & COMPONENTS. JOHNSON 1996 BJ90ELEDR 1996 FUEL BRACKET & COMPONENTS. JOHNSON 1996 BJ90SLEDR 1996 FUEL BRACKET & COMPONENTS. JOHNSON 1996 HJ115SLEDR 1996 FUEL BRACKET & COMPONENTS. JOHNSON 1996 J115ELEDR 1996 FUEL BRACKET & COMPONENTS. JOHNSON 1996 J115GLEDR 1996 FUEL BRACKET & COMPONENTS. JOHNSON 1996 J115SLEDR 1996 FUEL BRACKET & COMPONENTS. JOHNSON 1996 J115SXEDR 1996 FUEL BRACKET & COMPONENTS. JOHNSON 1996 J90ELEDR 1996 FUEL BRACKET & COMPONENTS. JOHNSON 1996 J90SLEDR 1996 FUEL BRACKET & COMPONENTS. JOHNSON 1996 SJ115ELEDR 1996 FUEL BRACKET & COMPONENTS. JOHNSON 1996 SJ90ELEDR 1996 FUEL BRACKET & COMPONENTS. JOHNSON 1993 J125ESXETA 1993 FUEL PUMP. JOHNSON 1993 J125ESXETF 1993 FUEL PUMP. JOHNSON 1993 J140CXATF 1993 FUEL PUMP. JOHNSON 1993 J140CXATS 1993 FUEL PUMP. JOHNSON 1993 J140CXETB 1993 FUEL PUMP. JOHNSON 1993 J140CXETF 1993 FUEL PUMP. JOHNSON 1993 J140TLATC 1993 FUEL PUMP. JOHNSON 1993 J140TLATF 1993 FUEL PUMP. JOHNSON 1993 J140TLETC 1993 FUEL PUMP. JOHNSON 1993 J140TLETF 1993 FUEL PUMP. JOHNSON 1993 J140TXATF 1993 FUEL PUMP. JOHNSON 1993 J140TXATS 1993 FUEL PUMP. JOHNSON 1993 J140TXETC 1993 FUEL PUMP. JOHNSON 1993 J140TXETF 1993 FUEL PUMP. JOHNSON 1993 J60ELETD 1993 FUEL PUMP. JOHNSON 1993 J60TLETD 1993 FUEL PUMP. JOHNSON 1993 J60TTLETD 1993 FUEL PUMP. JOHNSON 1993 J65WMLETD 1993 FUEL PUMP. JOHNSON 1993 J70ELETS 1993 FUEL PUMP. JOHNSON 1993 J70TLETS 1993 FUEL PUMP. JOHNSON 1993 J70TTLETS 1993 FUEL PUMP. JOHNSON 1993 TJ60TLETD 1993 FUEL PUMP. JOHNSON 1993 VJ120TLATF 1993 FUEL PUMP. JOHNSON 1993 VJ120TLATS 1993 FUEL PUMP. JOHNSON 1993 VJ120TLETF 1993 FUEL PUMP. JOHNSON 1993 VJ120TLETS 1993 FUEL PUMP. JOHNSON 1993 VJ120TXETF 1993 FUEL PUMP. JOHNSON 1993 VJ120TXETS 1993 FUEL PUMP. JOHNSON 1993 VJ140TLETC 1993 FUEL PUMP. JOHNSON 1993 VJ140TLETF 1993 FUEL PUMP. JOHNSON 1993 VJ140TXETC 1993 FUEL PUMP. JOHNSON 1993 VJ140TXETF 1993 FUEL PUMP. JOHNSON 1993 VJ60ELETD 1993 FUEL PUMP. JOHNSON 1993 VJ70ELETS 1993 FUEL PUMP. JOHNSON 1993 VJ70TLETS 1993 FUEL PUMP. JOHNSON 1994 J120TLARC 1994 FUEL PUMP. JOHNSON 1994 J120TLARK 1994 FUEL PUMP. JOHNSON 1994 J120TLERC 1994 FUEL PUMP. JOHNSON 1994 J120TLERK 1994 FUEL PUMP. JOHNSON 1994 J120TXARC 1994 FUEL PUMP. JOHNSON 1994 J120TXARK 1994 FUEL PUMP. JOHNSON 1994 J120TXERC 1994 FUEL PUMP. JOHNSON 1994 J120TXERK 1994 FUEL PUMP. JOHNSON 1994 J125ESXERK 1994 FUEL PUMP. JOHNSON 1994 J140CXARC 1994 FUEL PUMP. JOHNSON 1994 J140CXARK 1994 FUEL PUMP. JOHNSON 1994 J140CXERE 1994 FUEL PUMP. JOHNSON 1994 J140CXERK 1994 FUEL PUMP. JOHNSON 1994 J140TLARK 1994 FUEL PUMP. JOHNSON 1994 J140TLARR 1994 FUEL PUMP. JOHNSON 1994 J140TLERK 1994 FUEL PUMP. JOHNSON 1994 J140TLERR 1994 FUEL PUMP. JOHNSON 1994 J140TXARC 1994 FUEL PUMP. JOHNSON 1994 J140TXARK 1994 FUEL PUMP. JOHNSON 1994 J140TXERK 1994 FUEL PUMP. JOHNSON 1994 J140TXERR 1994 FUEL PUMP. JOHNSON 1994 J60ELERS 1994 FUEL PUMP. JOHNSON 1994 J60ELERV 1994 FUEL PUMP. JOHNSON 1994 J60TLERS 1994 FUEL PUMP. JOHNSON 1994 J60TLERV 1994 FUEL PUMP. JOHNSON 1994 J60TTLERS 1994 FUEL PUMP. JOHNSON 1994 J60TTLERV 1994 FUEL PUMP. JOHNSON 1994 J65WMLERS 1994 FUEL PUMP. JOHNSON 1994 J70ELERC 1994 FUEL PUMP. JOHNSON 1994 J70ELERV 1994 FUEL PUMP. JOHNSON 1994 J70TLERC 1994 FUEL PUMP. JOHNSON 1994 J70TLERV 1994 FUEL PUMP. JOHNSON 1994 J70TTLERC 1994 FUEL PUMP. JOHNSON 1994 J70TTLERV 1994 FUEL PUMP. JOHNSON 1995 J130CXAOR 1995 FUEL PUMP. JOHNSON 1995 J130TLEOA 1995 FUEL PUMP. JOHNSON 1995 J130TXAOR 1995 FUEL PUMP. JOHNSON 1995 J50DTLEOS 1995 FUEL PUMP. JOHNSON 1995 J50ELEOS 1995 FUEL PUMP. JOHNSON 1995 J50TTLEOS 1995 FUEL PUMP. JOHNSON 1995 J60ELEOC 1995 FUEL PUMP. JOHNSON 1995 J60TLEOC 1995 FUEL PUMP. JOHNSON 1995 J60TTLEOC 1995 FUEL PUMP. JOHNSON 1995 J65WMLEOC 1995 FUEL PUMP. JOHNSON 1995 J70ELEOR 1995 FUEL PUMP. JOHNSON 1995 J70JLEOS 1995 FUEL PUMP. JOHNSON 1995 J70TLEOR 1995 FUEL PUMP. JOHNSON 1995 J70TTLEOR 1995 FUEL PUMP. JOHNSON 1996 BJ130TLEDM 1996 FUEL PUMP. JOHNSON 1996 BJ50DTLEDC 1996 FUEL PUMP. JOHNSON 1996 BJ60ELEDR 1996 FUEL PUMP. JOHNSON 1996 BJ60TLEDR 1996 FUEL PUMP. JOHNSON 1996 BJ70ELEDA 1996 FUEL PUMP. JOHNSON 1996 BJ70TLEDA 1996 FUEL PUMP. JOHNSON 1996 HJ130CXADA 1996 FUEL PUMP. JOHNSON 1996 HJ130TXADA 1996 FUEL PUMP. JOHNSON 1996 HJ70TXEDA 1996 FUEL PUMP. JOHNSON 1996 J130TLEDM 1996 FUEL PUMP. JOHNSON 1996 J130TXADA 1996 FUEL PUMP. JOHNSON 1996 J50DTLEDC 1996 FUEL PUMP. JOHNSON 1996 J50ELED 1996 FUEL PUMP. JOHNSON 1996 J50TTLEDC 1996 FUEL PUMP. JOHNSON 1996 J60ELEDR 1996 FUEL PUMP. JOHNSON 1996 J60TLEDR 1996 FUEL PUMP. JOHNSON 1996 J60TTLEDR 1996 FUEL PUMP. JOHNSON 1996 J70TLEDA 1996 FUEL PUMP. JOHNSON 1996 SJ130CXADA 1996 FUEL PUMP. JOHNSON 1996 SJ130TLEDM 1996 FUEL PUMP. JOHNSON 1996 SJ130TXADA 1996 FUEL PUMP. JOHNSON 1996 SJ60TLEDR 1996 FUEL PUMP. JOHNSON 1996 SJ70TLEDA 1996 FUEL PUMP. JOHNSON 1997 BJ130TLEUB 1997 FUEL PUMP. JOHNSON 1997 BJ50DTLEUR 1997 FUEL PUMP. JOHNSON 1997 BJ60ELEUA 1997 FUEL PUMP. JOHNSON 1997 BJ60TLEUA 1997 FUEL PUMP. JOHNSON 1997 BJ70ELEUM 1997 FUEL PUMP. JOHNSON 1997 BJ70TLEUM 1997 FUEL PUMP. JOHNSON 1997 HJ130CXAUM 1997 FUEL PUMP. JOHNSON 1997 HJ130TXAUM 1997 FUEL PUMP. JOHNSON 1997 HJ70TXEUM 1997 FUEL PUMP. JOHNSON 1997 J130TLEUB 1997 FUEL PUMP. JOHNSON 1997 J130TXAUM 1997 FUEL PUMP. JOHNSON 1997 J50DTLEUR 1997 FUEL PUMP. JOHNSON 1997 J50ELEUR 1997 FUEL PUMP. JOHNSON 1997 J50TTLEUR 1997 FUEL PUMP. JOHNSON 1997 J60ELEUA 1997 FUEL PUMP. JOHNSON 1997 J60TLEUA 1997 FUEL PUMP. JOHNSON 1997 J60TTLEUA 1997 FUEL PUMP. JOHNSON 1997 J70TLEUM 1997 FUEL PUMP. JOHNSON 1998 BJ60TLECM 1998 FUEL PUMP. JOHNSON 1998 BJ70ELECB 1998 FUEL PUMP. JOHNSON 1998 BJ70TLECB 1998 FUEL PUMP. JOHNSON 1998 BJ90SLECM 1998 FUEL BRACKET & COMPONENTS. JOHNSON 1998 BJ90SXECM 1998 FUEL BRACKET & COMPONENTS. JOHNSON 1998 HJ115SLECM 1998 FUEL BRACKET & COMPONENTS. JOHNSON 1998 HJ130TXACB 1998 FUEL PUMP. JOHNSON 1998 J100WQLECS 1998 FUEL BRACKET & COMPONENTS. JOHNSON 1998 J100WQXECS 1998 FUEL BRACKET & COMPONENTS. JOHNSON 1998 J115ELECM 1998 FUEL BRACKET & COMPONENTS. JOHNSON 1998 J115GLECM 1998 FUEL BRACKET & COMPONENTS. JOHNSON 1998 J115JTLECS 1998 FUEL BRACKET & COMPONENTS. JOHNSON 1998 J115SLECM 1998 FUEL BRACKET & COMPONENTS. JOHNSON 1998 J115SXECM 1998 FUEL BRACKET & COMPONENTS. JOHNSON 1998 J130TLECE 1998 FUEL PUMP. JOHNSON 1998 J130TXACB 1998 FUEL PUMP. JOHNSON 1998 J150ELECD 1998 FUEL BRACKET & COMPONENTS. JOHNSON 1998 J150EXECD 1998 FUEL BRACKET & COMPONENTS. JOHNSON 1998 J150GLECD 1998 FUEL BRACKET & COMPONENTS. JOHNSON 1998 J150JLECD 1998 FUEL BRACKET & COMPONENTS. JOHNSON 1998 J150NXECD 1998 FUEL BRACKET & COMPONENTS. JOHNSON 1998 J150SLECD 1998 FUEL BRACKET & COMPONENTS. JOHNSON 1998 J175EXECD 1998 FUEL BRACKET & COMPONENTS. JOHNSON 1998 J175GLECD 1998 FUEL BRACKET & COMPONENTS. JOHNSON 1998 J175NXECD 1998 FUEL BRACKET & COMPONENTS. JOHNSON 1998 J175SLECD 1998 FUEL BRACKET & COMPONENTS. JOHNSON 1998 J200CXECM 1998 FUEL PUMP. JOHNSON 1998 J200STLECE 1998 FUEL PUMP. JOHNSON 1998 J200TLECM 1998 FUEL PUMP. JOHNSON 1998 J200TXECM 1998 FUEL PUMP. JOHNSON 1998 J225CXECS 1998 FUEL PUMP. JOHNSON 1998 J225CZECS 1998 FUEL PUMP. JOHNSON 1998 J225STLECS 1998 FUEL PUMP. JOHNSON 1998 J225TXECS 1998 FUEL PUMP. JOHNSON 1998 J225TZECS 1998 FUEL PUMP. JOHNSON 1998 J250CXECD 1998 FUEL PUMP. JOHNSON 1998 J250CZECD 1998 FUEL PUMP. JOHNSON 1998 J250PXECD 1998 FUEL PUMP. JOHNSON 1998 J250PZECD 1998 FUEL PUMP. JOHNSON 1998 J50DTLECA 1998 FUEL PUMP. JOHNSON 1998 J50TTLECA 1998 FUEL PUMP. JOHNSON 1998 J60TLECM 1998 FUEL PUMP. JOHNSON 1998 J60TTLECM 1998 FUEL PUMP. JOHNSON 1998 J70TLECB 1998 FUEL PUMP. JOHNSON 1998 J90ELECM 1998 FUEL BRACKET & COMPONENTS. JOHNSON 1998 J90SLECM 1998 FUEL BRACKET & COMPONENTS. JOHNSON 1998 SJ200CXECM 1998 FUEL PUMP. JOHNSON 1998 SJ200SLECE 1998 FUEL PUMP. JOHNSON 1998 SJ200TXECM 1998 FUEL PUMP. JOHNSON 1998 SJ225CXECS 1998 FUEL PUMP. JOHNSON 1998 SJ225GLECC 1998 FUEL PUMP. JOHNSON 1998 SJ225NXECC 1998 FUEL PUMP. JOHNSON 1998 SJ225NZECC 1998 FUEL PUMP. JOHNSON 1998 SJ225QXECC 1998 FUEL PUMP. JOHNSON 1998 SJ225QZECC 1998 FUEL PUMP. JOHNSON 1998 SJ225SLECS 1998 FUEL PUMP. JOHNSON 1998 SJ225TXECS 1998 FUEL PUMP. JOHNSON 1999 BJ115PLEEM 1999 FUEL BRACKET & COMPONENTS. JOHNSON 1999 BJ115PXEEM 1999 FUEL BRACKET & COMPONENTS. JOHNSON 1999 BJ130PLEED 1999 FUEL PUMP. JOHNSON 1999 BJ130PXEED 1999 FUEL PUMP. JOHNSON 1999 BJ175PLEES 1999 FUEL BRACKET & COMPONENTS. JOHNSON 1999 BJ175PXEES 1999 FUEL BRACKET & COMPONENTS. JOHNSON 1999 BJ200CXEEB 1999 FUEL PUMP. JOHNSON 1999 BJ200CXEEN 1999 FUEL PUMP. JOHNSON 1999 BJ200PLEEB 1999 FUEL PUMP. JOHNSON 1999 BJ200PLEEN 1999 FUEL PUMP. JOHNSON 1999 BJ200PXEEB 1999 FUEL PUMP. JOHNSON 1999 BJ200PXEEN 1999 FUEL PUMP. JOHNSON 1999 BJ225CXEEC 1999 FUEL PUMP. JOHNSON 1999 BJ225CXEEN 1999 FUEL PUMP. JOHNSON 1999 BJ225PLEEC 1999 FUEL PUMP. JOHNSON 1999 BJ225PLEEN 1999 FUEL PUMP. JOHNSON 1999 BJ225PXEEC 1999 FUEL PUMP. JOHNSON 1999 BJ225PXEEN 1999 FUEL PUMP. JOHNSON 1999 BJ70PLEEE 1999 FUEL PUMP. JOHNSON 1999 BJ90PLEEB 1999 FUEL BRACKET & COMPONENTS. JOHNSON 1999 BJ90PXEEB 1999 FUEL BRACKET & COMPONENTS. JOHNSON 1999 J100WPLEEC 1999 FUEL BRACKET & COMPONENTS. JOHNSON 1999 J100WPXEEC 1999 FUEL BRACKET & COMPONENTS. JOHNSON 1999 J115JPLEEC 1999 FUEL BRACKET & COMPONENTS. JOHNSON 1999 J115PLEEM 1999 FUEL BRACKET & COMPONENTS. JOHNSON 1999 J115PXEEM 1999 FUEL BRACKET & COMPONENTS. JOHNSON 1999 J115SPLEES 1999 FUEL BRACKET & COMPONENTS. JOHNSON 1999 J130PLEED 1999 FUEL PUMP. JOHNSON 1999 J130PXEED 1999 FUEL PUMP. JOHNSON 1999 J150CXEES 1999 FUEL BRACKET & COMPONENTS. JOHNSON 1999 J150JPLEES 1999 FUEL BRACKET & COMPONENTS. JOHNSON 1999 J150PLEES 1999 FUEL BRACKET & COMPONENTS. JOHNSON 1999 J150PXEES 1999 FUEL BRACKET & COMPONENTS. JOHNSON 1999 J150SPLEES 1999 FUEL BRACKET & COMPONENTS. JOHNSON 1999 J175CXEES 1999 FUEL BRACKET & COMPONENTS. JOHNSON 1999 J175PLEES 1999 FUEL BRACKET & COMPONENTS. JOHNSON 1999 J175PXEES 1999 FUEL BRACKET & COMPONENTS. JOHNSON 1999 J175SPLEES 1999 FUEL BRACKET & COMPONENTS. JOHNSON 1999 J200CXEEB 1999 FUEL PUMP. JOHNSON 1999 J200CXEEN 1999 FUEL PUMP. JOHNSON 1999 J200PLEEB 1999 FUEL PUMP. JOHNSON 1999 J200PLEEN 1999 FUEL PUMP. JOHNSON 1999 J200PXEEB 1999 FUEL PUMP. JOHNSON 1999 J200PXEEN 1999 FUEL PUMP. JOHNSON 1999 J225CXEEC 1999 FUEL PUMP. JOHNSON 1999 J225CXEEN 1999 FUEL PUMP. JOHNSON 1999 J225HPLEEN 1999 FUEL PUMP. JOHNSON 1999 J225HPLEES 1999 FUEL PUMP. JOHNSON 1999 J225PLEEC 1999 FUEL PUMP. JOHNSON 1999 J225PLEEN 1999 FUEL PUMP. JOHNSON 1999 J225PXEEC 1999 FUEL PUMP. JOHNSON 1999 J225PXEEN 1999 FUEL PUMP. JOHNSON 1999 J250CXEEN 1999 FUEL PUMP. JOHNSON 1999 J250CXEES 1999 FUEL PUMP. JOHNSON 1999 J250CZEEN 1999 FUEL PUMP. JOHNSON 1999 J250CZEES 1999 FUEL PUMP. JOHNSON 1999 J250PXEEN 1999 FUEL PUMP. JOHNSON 1999 J250PXEES 1999 FUEL PUMP. JOHNSON 1999 J250PZEEN 1999 FUEL PUMP. JOHNSON 1999 J250PZEES 1999 FUEL PUMP. JOHNSON 1999 J40JPLEEC 1999 FUEL PUMP. JOHNSON 1999 J60PLEEB 1999 FUEL PUMP. JOHNSON 1999 J70PLEEE 1999 FUEL PUMP. JOHNSON 1999 J90PLEEB 1999 FUEL BRACKET & COMPONENTS. JOHNSON 1999 J90SPLEES 1999 FUEL BRACKET & COMPONENTS. Shaft, N-A USA 2000 FUEL BRACKET AND COMPONENTS. Shaft, wht, N-A USA 2000 FUEL BRACKET AND COMPONENTS. Shaft, wht, N-A USA 2000 FUEL BRACKET & COMPONENTS. Shaft, cntr rotate, N-A USA 2000 FUEL PUMP. Shaft, N-A USA 2000 FUEL PUMP. Shaft, wht, N-A USA 2000 FUEL PUMP. JOHNSON 2000 BJ225CXSSR Elec Start, TNT, 25 IN. Shaft, wht, cntr rotate 2000 FUEL PUMP. JOHNSON 2000 BJ70PLSSD Elec Start, TNT, 20 IN. JOHNSON 2000 J100WPLSSR Commercial, Elec. JOHNSON 2000 J100WPXSSR Commercial, Elec. JOHNSON 2000 J115JPLSSR Jet Drive, Elec. Shaft 2000 FUEL BRACKET AND COMPONENTS. Shaft, wht 2000 FUEL BRACKET AND COMPONENTS. Shaft, wht, 2000 FUEL BRACKET AND COMPONENTS. Shaft, wht 2000 FUEL PUMP. Rotate 2000 FUEL BRACKET & COMPONENTS. JOHNSON 2000 J150JPLSSC Jet Drive, Elec. JOHNSON 2000 J150MXSSD Military, Elec. JOHNSON 2000 J150PLSSC Military, Elec. Shaft, wht, cntr rotate 2000 FUEL BRACKET & COMPONENTS. Shaft, wht 2000 FUEL BRACKET & COMPONENTS. Shaft, cntr rotate 2000 FUEL PUMP. JOHNSON 2000 J225CXSSR Elec Start, TNT, 25 IN. HS GC 2000 FUEL PUMP. JOHNSON 2000 J40JPLSSR Jet Drive, Elec Start, TNT, 20 IN. JOHNSON 2000 J60PLSSE Elec Start, TNT, 20 IN. JOHNSON 2000 J70PLSSD Elec Start, TNT, 20 IN. JOHNSON 2000 RJ225CXSSS Elec Start, TNT, 25 IN. JOHNSON 2000 RJ70PLSSD Elec Start, TNT, 20 IN. JOHNSON 2001 BJ70PLSIS elec start, TNT, 20 in shaft, n-a usa 2001 FUEL PUMP. JOHNSON 2001 J100WPLSIF commercial, elec start, 20 in shaft 2001 FUEL BRACKET & COMPONENTS. JOHNSON 2001 J100WPXSIF commercial, elec start, TNT, 25 in shaft 2001 FUEL BRACKET & COMPONENTS. JOHNSON 2001 J40JPLSIA jet drive, elec start, TNT, 20 in shaft 2001 FUEL PUMP. JOHNSON 2001 J40JVLSIA jet drive, elec start, TNT, 20 in shaft, wht 2001 FUEL PUMP. JOHNSON 2001 J60PLSID elec start, TNT, 20 in shaft 2001 FUEL PUMP. JOHNSON 2001 J60VLSID elec start, TNT, 20 in shaft, wht 2001 FUEL PUMP. JOHNSON 2001 J70PLSIS elec start, TNT, 20 in shaft 2001 FUEL PUMP. JOHNSON 2001 J70VLSIS elec start, TNT, 20 in shaft 2001 FUEL PUMP. JOHNSON 2001 RJ70PLSIS elec start, TNT, 20 in shaft 2001 FUEL PUMP. The item "Johnson/Evinrude OMC/BRP New OEM Oil Injection Fuel VRO Pump Kit 4-Wire 5007420" is in sale since Friday, June 17, 2011. 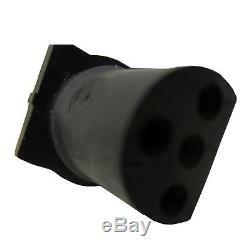 This item is in the category "eBay Motors\Parts & Accessories\Boat Parts\Outboard Engines & Components\Intake & Fuel Systems". The seller is "leaders_rpm" and is located in Kalamazoo, Michigan.